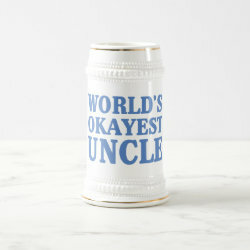 World's Okayest Uncle Combo Mug: Funny, unique, pretty, or personal, it's your choice for the perfect coffee mug. The outside of the mug features a bright white base for your photo, logo, pattern, or saying, while the rim & handle are vividly glazed in rich color. 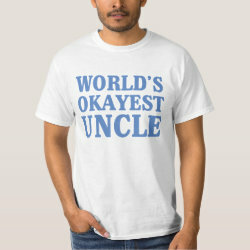 Check out other products with this design or view all . 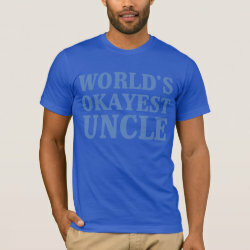 This mug with our World's Okayest Uncle design is made-to-order by Zazzle.com. 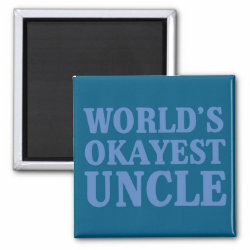 Zazzle offers 100% money back guarantee on our high quality Cute Union products. In case you are not happy with your purchase, you can always return your mug for an exchange or refund within 30 days of receipt. 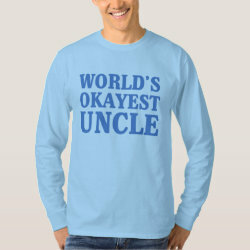 See customer service for more information.